33 posts categorized "Conflict Diamonds"
The United Nations banned diamonds from Liberia in 2001 because of “blood diamonds” use to fund atrocities of the 1989 to 2003 civil war. The U.N. lifted the ban in April when Liberia agreed to adhere to the Kimberley Process for exporting diamonds. While the first shipment was small in terms of value ($220,000), it was a big step for Liberia’s financial future. 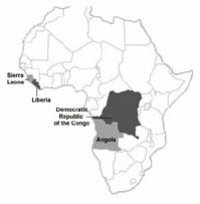 Liberia is struggling to recover from the devastating economic implications of the brutal wars that ravaged that region of Africa the since the early 1990’s. The Liberian government receives three percent of diamond sales directly but also benefits from the renewed infusion of resources as the diamond industry renews its efforts in the country. The Kimberley Process is the multi-national mechanism established to curb and possibly eliminate conflict diamonds by requiring governmental documentation for diamonds to show they came from legitimate sources. The United Nations has over 9,000 troops in Liberia to maintain stability during the rebuilding process. The troops are scheduled to be withdrawn over the next three years as the government rebuilds is state institutions, solidifies its judicial system, and reestablishes its infrastructure of roads, schools, and health care. Lifting the ban on diamonds provides job opportunities, which are so critical for this country’s quest to alleviate poverty and restore quality of life to its citizens. For more than six years, Liberia has under United Nations sanctions due to its civil war mostly funded from conflict diamonds sourced in Liberia and neighboring Sierra Leone Liberia. Three years ago, the UN Security Council implemented a ban on diamonds exported from Liberia in an effort to implement the “Kimberly Process”, a multi-national effort initiated in 2000 to eliminate illegally sourced diamonds and in particular, conflict diamonds. The illegal marketing of rough diamonds known as “blood diamonds” or “conflict diamonds”, was a key cause of back-to-back Liberian civil wars beginning in 1989 and the ten years of atrocities in neighboring Sierra Leone which ended in 2001 after claiming over 400,000 lives. 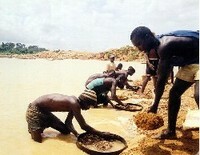 Conflict diamonds financed bloody conflicts in other African countries including the Democratic Republic of the Congo, Angola, and Côte d'Ivoire. On Friday (May 4, 2007), the Security Council removed the ban on Liberia’s rough diamonds and the chair of the Kimberley Process acknowledged Liberia as a participant in that process. This means that Liberia is now able to export rough diamonds legally to other Kimberley Process members. This leaves Côte d'Ivoire (Ivory Coast) as the only diamond producing country still subject to United Nations sanctions. The United Nations Security Council extended its embargo on arms destined for Liberia and renewed an embargo for six months on rough diamond exports from Liberia. While the Security Council acknowledged the progress the Liberian government has made this year in monitoring the diamond trade, it determined the situation is still unstable and a threat to security and peace in that war-torn region. Illegally marketed diamonds, known as conflict diamonds, have been the catalyst for civil wars in Liberia being in 1989 and the brutal conflict in neighboring Sierra Leone. Ex-president, Charles Taylor in Sierra Leone, faces seventeen counts of war crimes for allegedly arming and training rebels in exchange for conflict diamonds. In order for the Security Council to lift its embargo on diamond exports from Liberia, the Liberian government must join the Kimberley Process that documents the origin of rough diamonds in an international effort to keep conflict diamonds from entering the diamond marketplace. 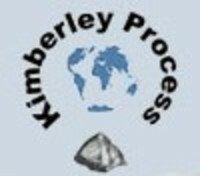 The Kimberly Process has successfully reduced the percentage of conflict diamonds in world trade. From an estimated high of 14% of total world diamonds during the mid 1990s, the Kimberley Process is credited with reducing conflict diamonds to about 0.2% (two tenths of one percent) of current diamond production. During 2006, the only source of conflict diamonds has been the northern regions of Cote d'Ivoire, a country in Western Africa, bordering the North Atlantic Ocean, between Ghana and Liberia. The movie, Blood Diamond, has certainly generated a lot of attention in the media. Human rights groups are using the buzz surrounding the movie to draw public attention to the illicit diamond business and its impact on human rights, child soldiers, money laundering, terrorism and brutal warfare. On the other side of the debate is the diamond industry that is concerned the public might over-react and not realize the progress that has been made to eliminate illegal diamonds and the critical role legitimate diamonds play in the economies of African countries. Countries such as Angola , Sierra Leone and the Democratic Republic of Congo were previously sites of bloody conflict but have now regained peace. Today these countries use diamonds to develop healthcare, educations and improve quality of life rather than financing atrocities and warfare. Both sides have valid points but as often occurs when complex issues get debated in the media, it can be hard to listen to the truth because of all the shouting. There as much corruption in the past and the stories of amputations, child soldiers and millions of refugees are evidence of the sheer brutality and indiscriminate violence that has ravaged these countries for years. Now, only a few countries are considered sources of conflict diamonds today. 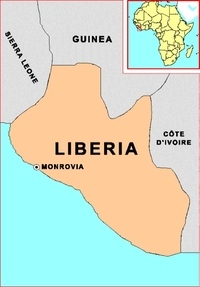 Ivory Coast and Liberia are still banned from exporting diamonds by United Nations resolutions, but Liberia hopes to see that ban lifted in early 2007. Ivory Coast is still struggling with a group of rebels in the northern part of the country still benefiting from the sale of illegal diamonds. Some suspect these illegal diamonds are smuggled across the border into Ghana. The Kimberley Process, established in 2002 to reduce and eliminate the flow of illegal diamonds, has greatly reduced the number of conflict diamonds sold. Even critics of the Kimberley Process acknowledge the current problems are minor in comparison to a few years ago and that the program is well on its way to bringing order to a previously unregulated industry. The diamond industry is now taking steps to put more of the wealth from diamonds back into the worker and their countries where the diamonds are extracted. African countries that never were associated with conflict diamonds are trying to get the word out that diamonds are often their greatest natural resource and the potential source of their economic success. They are concerned that the current media attention on blood diamonds will distort reality and result on a backlash on the African diamond industry. Angola, Sierra Leone and the Democratic Republic of Congo are especially concerned about the possible current media attention because these war torn countries rely on their legal diamonds to fuel their economic recovery. During the 1990s and into the current decade, rebel armies in Angola, Sierra Leone and the Democratic Republic of the Congo (DRC) financed their wars of insurgency and atrocity by taking over the diamond fields of these countries and smuggling the diamonds to other countries to enter the international diamond marketplace. As much as 15% of the world’s $10 billion annual rough diamond production was probably conflict diamonds also known as "blood diamonds." The result of these conflict diamond financed wars was the loss of hundreds of thousands of lives, the displacement of millions of people and the destruction of the health, education, and economic infrastructure for many poor countries. To deal with the issue of conflict diamonds, the World Diamond Congress of 2000 created a World Diamond Council to act on behalf of the international diamond industry. The result was the development of the Kimberley Process Certification Scheme (KPCS), implemented in 2003. Over 45 participating countries, plus all those represented by the European Community, agree to issue a certificate to accompany any rough diamonds exported from its territory, certifying that the diamonds are conflict-free. Each country must therefore be able to track the diamonds offered for export back to the point of import and must meet a set of standards for these internal controls. In addition, importing countries agree only to allow rough diamonds into their territory if they have an approved KPCS certificate. The Kimberley Process has been successful in helping to reduce the percentage of conflict diamonds down well below 1% of the world’s rough diamonds. This decline is also a result of wars ending in Angola and Sierra Leone. The political situation in the Democratic Republic of the Congo is still unstable but it is no longer a significant source of conflict diamonds. Liberia’s terrible war is also ended and the country expects United Nations diamond embargo to be lifted in 2007. Today the only significant source of conflict diamonds is in the rebel-held regions of northern Côte d’Ivoire (Ivory Coast), with most of the diamonds smuggled through Ghana. While this dramatic reduction in conflict diamonds is good news, the diamond industry is bracing for repercussions as millions of people worldwide are introduced to the history of conflict diamonds in the form of a Hollywood movie and documentary films. December 8th is the scheduled premier of Blood Diamond, starring Leonardo DiCaprio, Djimon Hounsou and Jennifer Connelly. The 2006 film, directed by Edward Zwick (The Last Samurai, Courage under Fire), is the tale of an unscrupulous American diamond smuggler who sets out to retrieve a very large diamond at the height of Sierra Leone’s horrific civil war. Two documentary films coincide with the release of Blood Diamond. The first, Blood on the Stone, produced by Insight News Television, illustrates that the issues raised in the fictional story (Blood Diamonds) remain alive and well today. The second documentary, Bling, follows three hip-hop artists to Sierra Leone where they observe the condition of today’s diamond miners. The diamond industry is concerned that public backlash to the films will reduce demand in general and produce a boycott of African diamonds, particularly from Sierra Leone, Angola, and the Democratic Republic of the Congo (DRC). Many moviegoers will assume that conflict diamonds are still sourced from these countries even though the wars are ended and diamond trade is now legitimate. In fact, these countries now depend on their diamond trade to rebuild their war torn countries. The victims of the wars would suffer from any backlash. There are as many as 120,000 diggers in Sierra Leone, 800,000 in the DRC and many tens of thousands in Angola whose livelihood depends on diamonds mined and sold under the Kimberley Process. This potential backlash also comes at a time when the diamond industry is trying to convert diamonds into the engine for development in many other poor countries where the miners have not received their fair share of the wealth. In 2005, the Diamond Development Initiative was launched to improve the working conditions and futures of the hundreds of thousands of artisanal diamond miners, who for the most part use shovels, pans and their hands to extract the diamonds from the earth. For decades, these miners have remained in absolute poverty while the other parties in the diamond pipeline have shared substantial wealth. Now, the diamond industry wants to initiate change that will ensure a better life for these miners. Key players during the Diamond Development Initiative startup phase have been Partnership Africa Canada, the Foundation for Environmental Sustainability and Security, Global Witness, De Beers, the Rapaport Group, the International Diamond Manufacturer’s Association and the Communities and Small-Scale Mining Secretariat of the World Bank. Hollywood, with powerful images and big names like Leonardo DiCaprio, will soon be a catalyst for change in the perceptions of diamond buyers worldwide. We only hope that the public will not overreact and cause continued suffering and pain. Yes, conflict diamonds must be eliminated as soon as possible. However, that does not mean that diamonds are somehow tainted or corrupted, especially from the countries that need this valuable resource to rebuild their war torn communities. The world needs to help these poor countries, not punish them. The film “Blood Diamond,” starring Leonardo DiCaprio, will be advertised in the fourth quarter of 2006. This will be a major movie release (scheduled January 12, 2007) will widespread publicity highlighting the story of Conflict Diamonds. Since the fourth quarter also is the key to diamond and jewelry retail sales, the jewelry industry is preparing an awareness campaign to prepare retailers for questions that consumers might ask about conflict diamonds. The United Nations adopted the Kimberley Process in 2003 with the cooperation of the diamond industry and representatives of 45 countries to reduce the illegal trade of diamonds, which financed terrible wars since 1999 in countries like Sierra Leon and the Congo. Current estimates are that the Kimberley Process has curbed the illegal trade of the world’s rough diamonds from 4 percent in 1999 to 0.2 percent today. The concern of the diamond industry with the DiCaprio film is that while it probably presents an accurate portrayal of the terror in Sierra Leone in 1999, it does not address what the industry has done and continues to do with eliminating this situation. Retailers are encouraged to convey the message that 99.8% of diamonds on the market are not “conflict diamonds” and that diamond industry plays an important and positive role in the lives of industry related workers in many countries in Africa and around the world. Ekati diamond mine is a joint venture between BHP Billiton Diamonds Inc. (80%) and geologists Charles E. Fipke and Dr. Stewart E. Blusson (10% each). Located approximately 300 kilometres northeast of Yellowknife and 200 kilometres south of the Arctic Circle in the Northwest Territories, Canada, the mine produces 6 percent of the world’s diamond supply in terms of value and 4 percent by weight (3 to 5 million carats per year). The union representing about 375 workers at the mine has been on strike since April 7. The union is asking consumers not to buy Ekati diamonds produced under the Aurias and CanadaMark trademarks while the union fights for a collective agreement. Canadian diamonds gained popularity as they were advertised as the “conflict free” diamonds compared to diamonds from war-torn African countries like Sierra Leone and the Congo. Now the unions are pushing their own awareness campaign against the “Dirty Diamonds” being produced at Ekati despite a labor conflict. The newspaper ads can be seen online at the union’s website at: http://psacnorth.com. In late May, the Ekati diamond mine owner BHP Billiton Ltd. began legal actions to sue the striking union for allegedly threatening and harassing workers who chose to return to the job. BHP said the mine is operating at full production without the company bringing in replacement workers. The talks broke off over employee protection clauses, according to mine management who said about 40 percent of employees have continued to work despite the strike. The union seeks to fine those employees and refuses the company’s requests to drop any fines or recriminations against these employees. With more dollars flowing into the “Dirty Diamonds” awareness campaign, consumers can expect to hear much more about this Canadian labor conflict in the months ahead. The member states of a UN-backed body that aims to counter the trade in so-called "conflict diamonds" voted Wednesday to step up efforts to stop illicit diamond exports from Ivory Coast, thought to fund separatist rebels. At a meeting in Moscow, members of the Kimberley Process, which includes 44 countries plus the European Union, "noted with grave concern the evidence... that significant illicit production of diamonds is continuing" in northern parts of Ivory Coast controlled by separatist forces, a resolution agreed at the meeting read. The Kimberley Process was set up in South Africa in 2000 to establish a system of certifying rough diamonds in order to prevent them being used to fund conflict. On Wednesday members discussed further ways of coordinating controls on the trade in west Africa, particularly in countries bordering Ivory Coast. The member states of the Kimberley Process are thought to account for virtually all of the global production of rough diamonds. However a pressure group, Global Witness, on Tuesday cast doubt on the group's effectiveness, saying that illicit diamond trading remained a major problem for both Ivory Coast and Liberia. "Weak government controls are failing to stop diamonds from fuelling conflict," Global Witness said. "Despite considerable achievements, both governments and the diamond industry must share the blame for flaws in the implementation of the Kimberley Process." Ivory Coast has been divided and in a state of crisis since a war broke out in 2002 that has pitted the government in Abidjan against rebels who control the north of the country. India has become a party to an international campaign to reject conflict diamonds. With reports that several terrorist organisations like Al Qaeda and various civil war groups are continuously getting funds from diamond trade proceeds in Africa, India supported a proposal to ban import of diamonds from Ivory Coast. A section of the traders in the tiny African nation is reportedly using diamond trade proceeds to fund wars. The decision was endorsed in a closed door meeting of the World Federation of Diamond Bourses (WFDB). WFDB controls majority of trades through the structured exchanges. Diamond bourses representing 17 nations supported the move. Kudrin, quoted by RIA Novosti, highlighted the country’s prominent role in the Kimberley Process as the world’s largest producer of uncut diamonds. He was speaking to a Moscow plenary session of the organization, set up to prevent illegally mined “blood diamonds” from being sold to finance regional armed conflicts and transnational terrorism. The trade in illicit rough diamonds contributed to devastating rebel wars against legitimately elected governments in African countries such as Angola, the Democratic Republic of Congo and Sierra Leone.